Just can't wait for your retirement funds? Painless advice on how to get your retirement money early. An overview of some important medical issues you'll face when preparing a living will and a power of attorney for health care. Know when health care providers must follow your instructions for medical care -- and when they may not. The Doings Hinsdale, September 24, 2009 - "Making POA's Work for You." 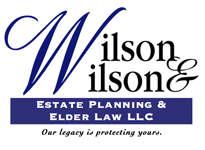 US News & World Report, November 5, 2007 – Partner Bill Wilson was quoted as a legal source in the article “How to Avoid a Death Trap” about the importance of proper estate planning.